Late spring is a wonderful time of year in Australia. Even more so if you’re an angler. The promise of warmer temperatures hangs in the air. 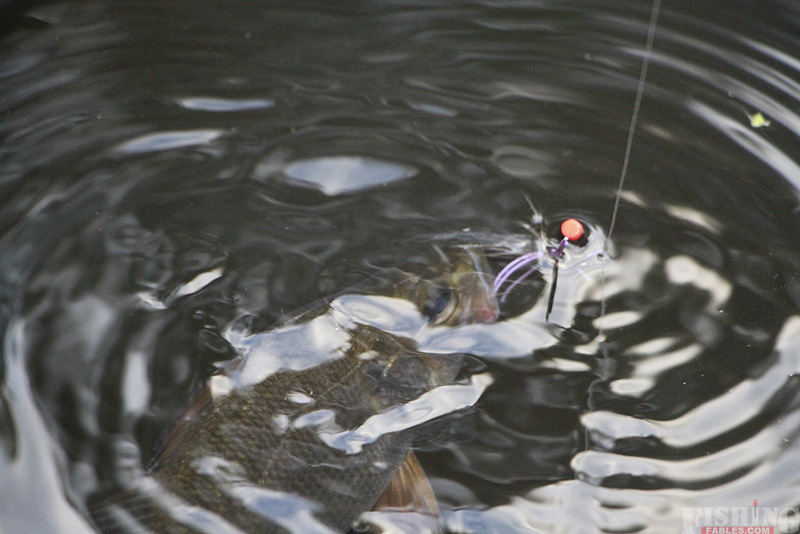 Fish are becoming more active, more likely to eat a lure or a fly. So it was with high hopes that I paddled upriver. It was still. The air hung thick. The river reflected the foliage along the banks. All I had with me was a fly rod. No back up spinning outfit. Not this time. For too long I’d been thinking about catching a bass on fly. Just thinking, not actually catching. To be serious about it I needed to focus purely on the fly. I’m a novice fly fisherman. Over the years I’ve caught a few trout and a couple of estuarine fish that were hell bent on committing suicide when our paths crossed. Yet I find myself being drawn to the fly rod. As a challenge to catch fish in a new way. Conditions looked promising. No wind and a river wide enough to cast without getting snagged in trees behind me. But there were significant challenges. 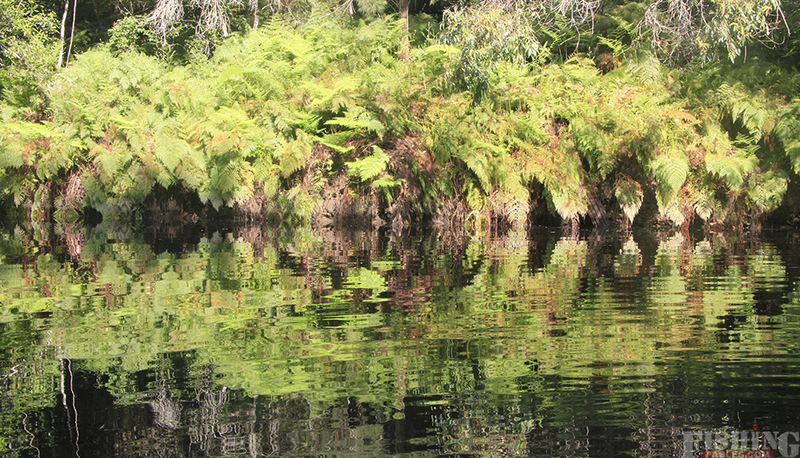 I was in a moving kayak, sitting down, trying to cast as close to snags and vegetation as possible. Every cast flew out on a wing and a prayer. 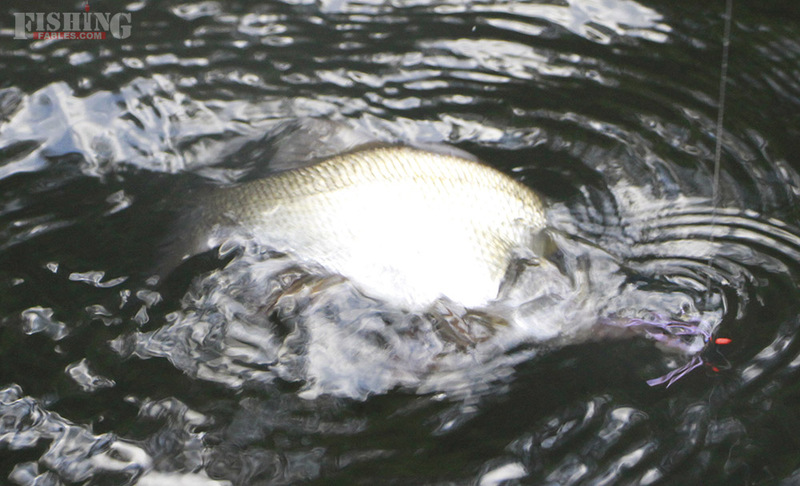 And yet, somehow, I managed to tempt a few bass. They weren’t very big but they fell to my fly! It was a morning on the water I will not forget. I learned that you don’t have to cast the fly into next week to catch a bass. 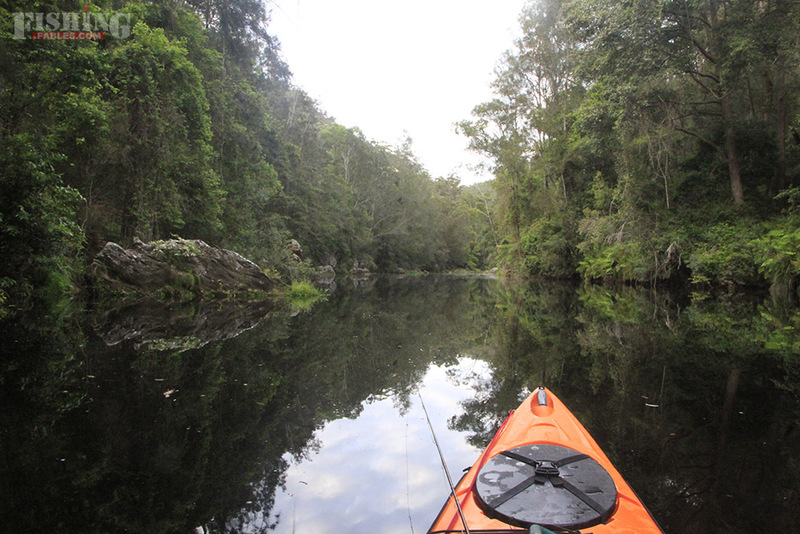 Being on a kayak allowed me to drift in close without spooking the fish. My successful casts were less than 20 feet. A couple of swishes with the magic wand gave me the velocity to get the fly in to the strike zone. I got into trouble when I tried to be a cowboy and cast longer distances. 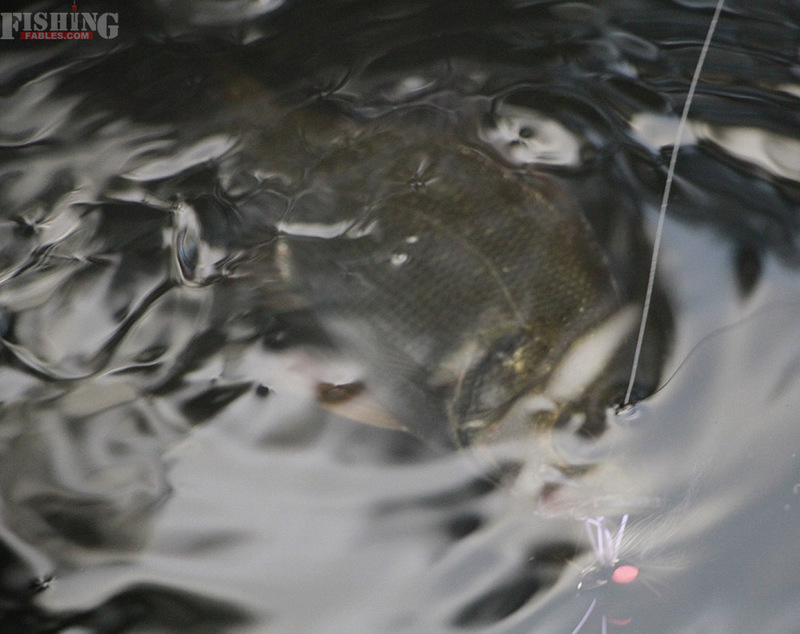 I also learned the importance of retrieving the surface fly slowly. I had most luck when I paused for a few seconds after the fly landed, gave it a few twitches and paused again. Most of the strikes came when the fly was just sitting there. Sometimes for 10 seconds. My instinct was to retrieve it fast and it was hard no to. 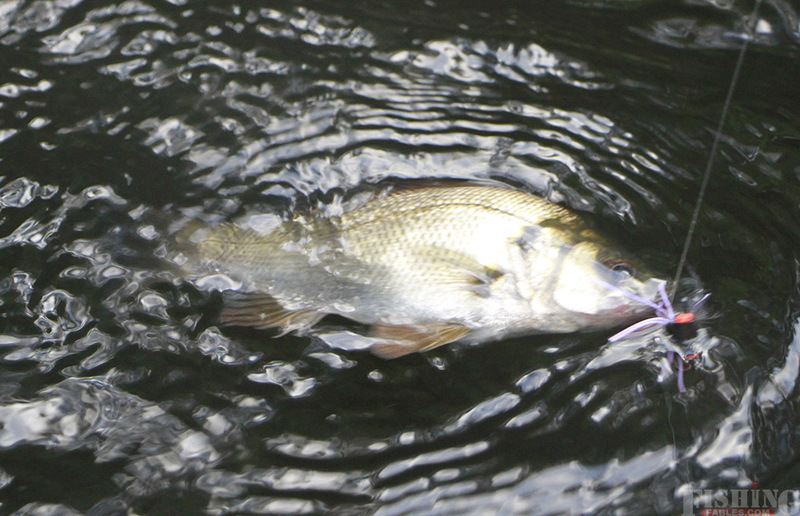 But there is no doubt the fish preferred a slower retrieve with long pauses. They say there are only two guarantees life – death and taxes. I’d like to add a third – that I will be doing a lot more fly fishing for bass. Thanks for the feedback – clearly you’ve also been bitten by the ‘bass on fly’ bug.